Healthy Origins Vegan Astaxanthin is a carotenoid produced from Haematococcus pluvialis microalgae. 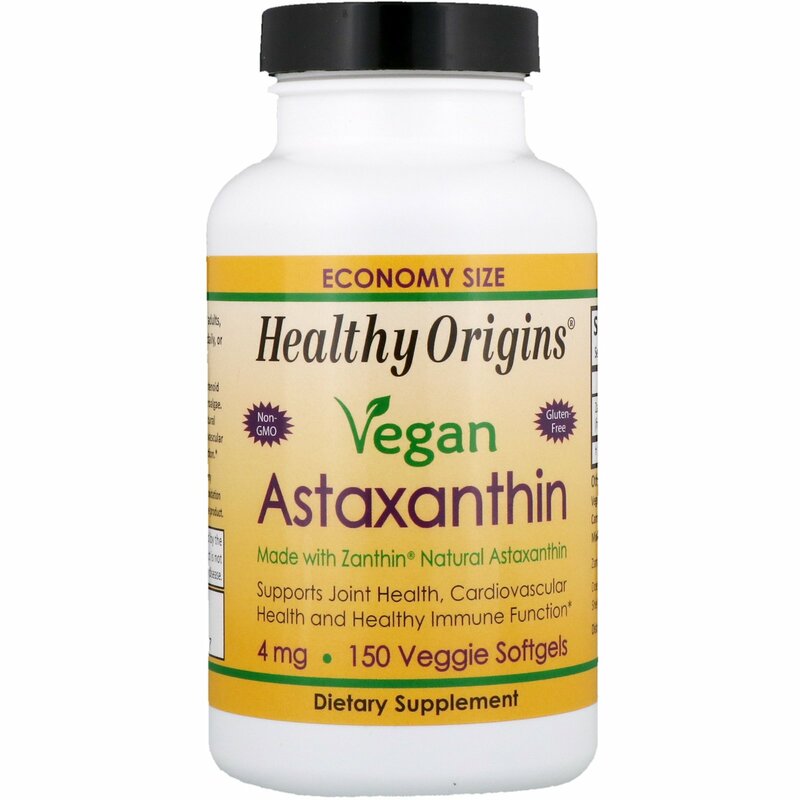 Research has shown that consumption of natural astaxanthin may support joint health, cardiovascular health, eye health and healthy immune function. 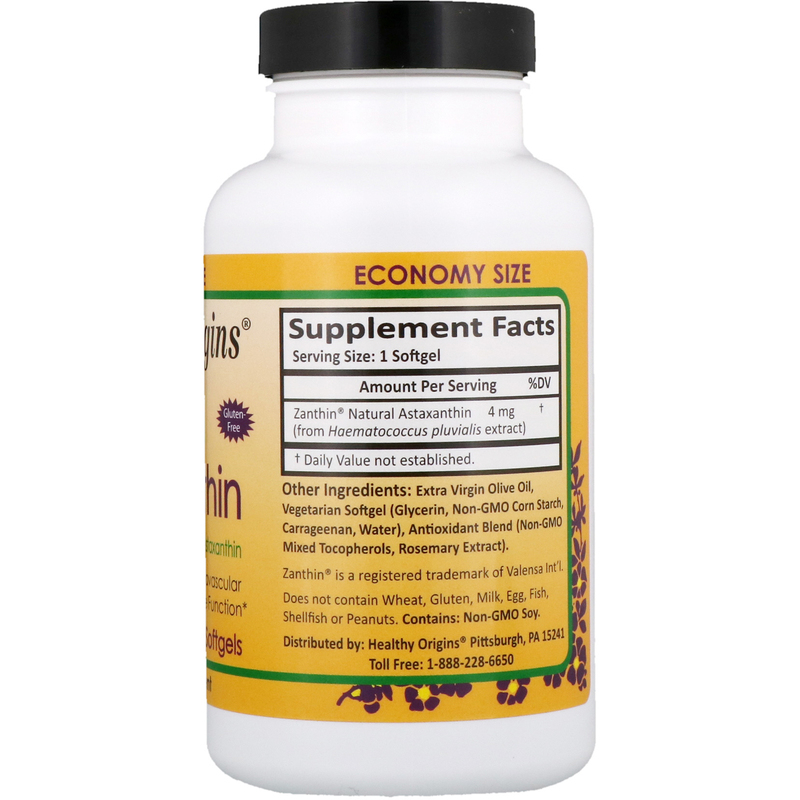 As a dietary supplement for adults, take one (1) softgel up to three (3) times daily, or as directed by a health care professional. Extra virgin olive oil, vegetarian softgel (glycerin, non-GMO corn starch, carrageenan, water), antioxidant blend (non-GMO mixed tocopherols, rosemary extract). Does not contain wheat, gluten, milk, egg, fish, shellfish or peanuts. Contains: Non-GMO Soy.